Dear HR: Welcome to the 21st Century! 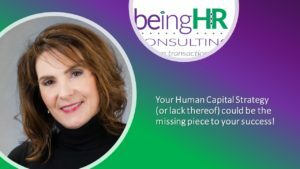 she holds several Human Resource certifications, including PHR, GPHR and Organizational Leadership. She is also certified with the Center for Creative Leadership (CCL) to administer their suite of 360-degree feedback tools. Liz is Vice President of Membership and President-elect for Colorado Springs Society for Human Resource Management (CSSHRM). She’s also Director of Membership for the Rocky Mountain Chapter of Women in Defense (RMWID) – an affiliate of the National Defense Industry Association (NDIA). She develops future business professionals in her instructor role in the College of Business at UCCS where she also volunteers as a member of the College of Business Alumni Leadership Team working closely with senior leadership to develop and sustain strong relationships with students and alumni.